Our party was wonderful! I have recommended SimpliFun to all my friends. It was a carefree and worry free way to plan and have a party. It was also something different. I recommend SimpliFun to everyone, and get raves from all the other moms (I've done two of your parties). I am sure I will use you again next year! I wanted to let you know that everything arrived on time for our party and I couldn't be happier! 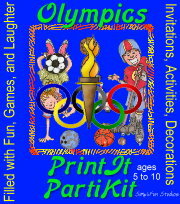 SimpliFun offers downloadable printable party games and printable party invitations for kids, tweens, teens and adults. 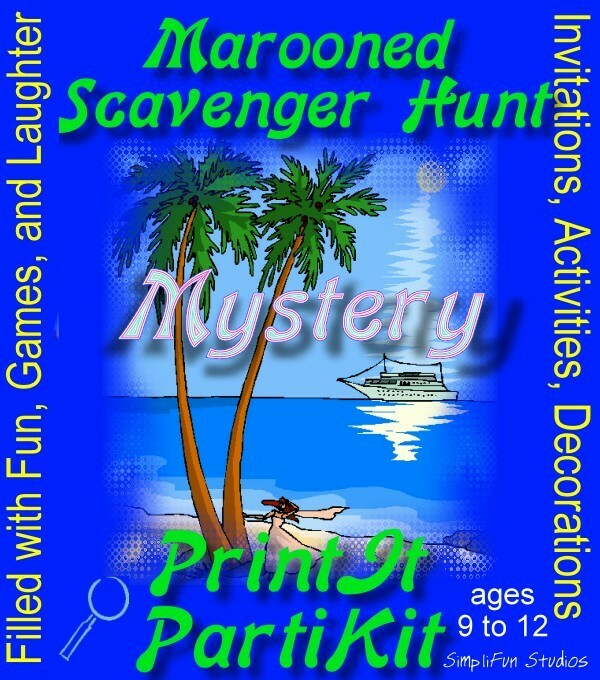 Enjoy ready-to-give full party kits, including murder mystery party games and scavenger hunts. SimpliFun Studios is your online source for the party supplies you need to keep the compliments coming long after your guests go home. Whether you entertain a few or many, you've found the site that offers you unique fun-filled party ideas. 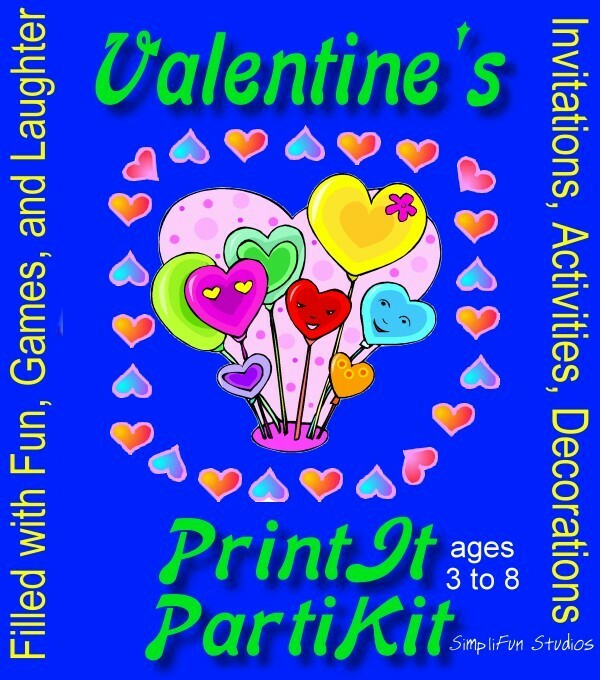 All you need is a color printer and you can easily host a great party. You can even add your name and party information for personalized invitations! The moment you place your order you'll be able to print your party. Add party favors and we'll ship them right out to you so you don't have go store to store. Enjoy your best party every- order your kit now and party tonight!